WELCOME RMGC is a trap shooting facility. While we encourage membership, it is not required to shoot at our club. 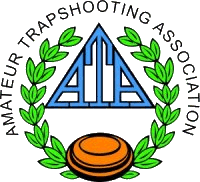 We host practice shooting, league shoots, meat shoots, registered (ATA) shoots and special events. We are open every Sunday from noon until we’ve had enough. May through October we are open Wednesdays from 1:00 p.m. until we are done. We have lighting for night shooting. Shotgun shells are available at the clubhouse. The Rocky Mountain Gun Club is a private TRAPSHOOTING club that is open to the public. We are affiliated with ATA and NRA. We use all PAT traps with Canterberry Voice Pulls at registered events and ERADS for most other activities. Our great facility is available for your special events that may or may not involve trap shooting. for only $10.00 a night. We have no water or sewer for campers. These spaces are available on a first-come-first-serve basis. Please make arrangements in advance so we can ensure the gate will be open and ready for your arrival. Currently there is a new RV Park located along the North Platte River and only minutes away from our club. Our club is always open to the public – member or not! Email us: rmgunclub@hotmail.com or use our contact form here.